I got through a great deal of reading on my summer holidays this year. Praise be for the Kindle, or my reading matter would almost certainly have sent me over my luggage limit on the flight. 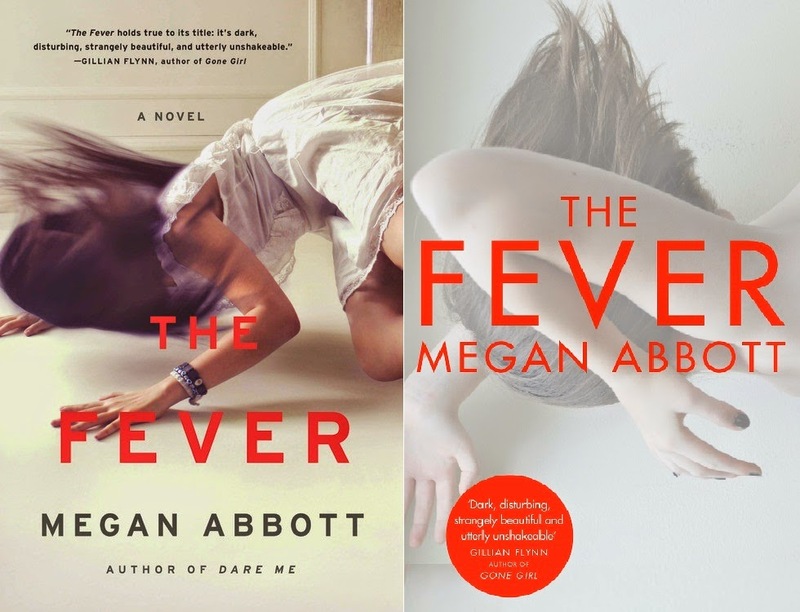 First up, as they say, was The Fever by Megan Abbott. The Fever is a young adult novel set in an American high school, which would usually have been more than enough to put me off reading it, but at the heart of its plot is something that always particularly intrigues me: an unexplained outbreak of a mysterious illness. A while back, I watched an excellent Channel 4 documentary about a small American town in New York State in which a number of teenage girls all appeared to fall victim to an inexplicable form of a Tourette's-like illness, characterised by severe tics. Was it psychosomatic? Mass hysteria? Wilful attention-seeking? A neurological disease caused by something in the local environment? A mystery infection? Or even, it was suggested, a physical reaction to a severe trauma? I assume Megan Abbott was aware of the Le Roy case, as The Fever has numerous similarities to it, and it was this that prompted me to read the book. The Fever centres around three teenage girls, Deenie, Gabby and Lise. One day, Lise suffers a sudden and life-threatening seizure at school, leaving her comatose in hospital. Shortly afterwards, Gabby falls victim to a similar fit that leaves her with strange tics. Then Kim, a neurotic hanger-on to the group, also collapses, and the small town community of Dryden starts looking for answers. What follows is a dark, somewhat claustrophobic mystery, packed with secrets and characterised by a constant, pervasive anxiety. In the age of social networking, YouTube clips of the girls' seizures soon find their way to every smartphone in Dryden. Parents begin to theorise about the controversial HPV vaccine their daughters have just been given, and it's surely no accident that Megan Abbott has chosen to refer to the HPV jab, which helps to protect women against a cancer-causing virus transmitted through sexual contact, rather than a tetanus or polio booster, for example. The girls at the centre of The Fever are all at a turning point when it comes to sexual experiences, and the degree to which their development and behaviour is scrutinised both by their parents and their peers - while Deenie's older brother Eli and his male friends are apparently able to be as casually promiscuous as they like without attracting any censure at all - is uncomfortably realistic. Taking the edge off the teen melodrama is Tom Nash, the divorced father of Deenie and Eli who also happens to teach at their high school. I found Tom perhaps the most interesting character of them all, and would like to have seen more from his perspective - but I appreciate that I'm not exactly the novel's target audience. Ultimately, too much of The Fever rests on a) boys and b) mistaken identity for my liking, and there were elements - both in terms of plot and character - that I found implausible enough to be irritating. I didn't find the girls' mysterious friend Skye at all convincing, for example, and nor did I find Deenie's brother Eli to be sufficiently interesting to warrant the amount of plot allocated to him. Moreover, while I know full well that teenagers can be infuriatingly and destructively secretive at times, I found it hard to see why, at a point in the story where they're concerned that the seizures might have been caused by their impulsive swimming trip to a possibly toxic lake, they don't just come clean and say so. There are other, darker, more credible secrets in The Fever, and this one doesn't seem sufficiently significant to be the source of so much angst. However, the central plot device is fascinating, and this is a well-crafted mystery overall.